Emily specialises in all aspects of the administration of deceased estates, including estate litigation and dispute resolution. She has been involved in a wide range of estate disputes, including proceedings regarding the construction and validity of wills, the removal of executors and family provision applications. Emily also focuses on succession planning, including providing advice on wills, trusts, asset protection, superannuation death benefit nominations, enduring powers of attorney and advance health directives. Prior to joining Paxton-Hall Lawyers, Emily worked for a national law firm specialising in succession law as well as general commercial litigation and dispute resolution. 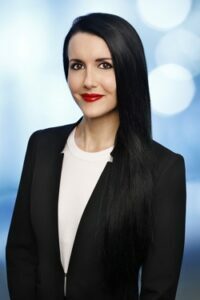 Emily’s general litigation experience includes contract disputes, breaches of duty claims, equitable claims, debt recovery, indemnity disputes and business interruption loss claims. Emily holds a Bachelor of Commerce and Bachelor of Laws (Honours) from The University of Queensland.